Now that our major heat wave has ended and we're feeling some more normal temperatures, I catch myself thinking about fall. Too soon, I know. Summer still has more than month to go. But chilly mornings and shortening days foreshadow what we all know is coming. I look at all the leaves on the trees and imagine them turning shades of yellow and orange, then falling to the ground. The vineyards are quiet right now, but it won't be long before the harvesters are humming out there. We're already getting the "back to school" advertising flyers from the local stores. It's time to order firewood and fill up the heating oil tank. We need to remember to take advantage of the good days we're having (like this nice warm weekend) because autumn is closer than it seems. August can be unpleasant here for those of us who live here year-round. Too many cars. Too many people. Our portero began his countdown 1 August. "One day down." 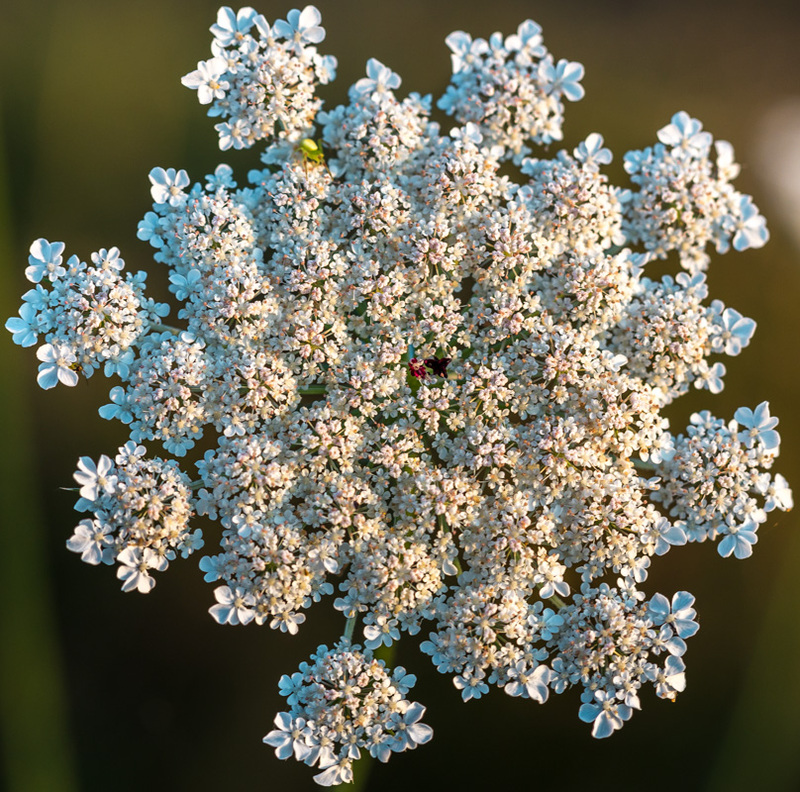 Although I hate wishing the days away, I'm counting down, as well... Oh, that wild carrot flower photo? Spectacular! And, yet, it was JUST in the 90°s (F) chez vous il y a quelques jours! LOL The height of summer! And two days later, you're already thinking of autumn leaves and buying heating oil. Ha! I go back to school Monday. Geeeeeeze. I know they are weeds, but I have always liked Queen Anne's Lace. They seem to say "August" for me. mitch, it's tough to live in a tourist town, especially a beach town, I imagine, unless your livelihood depends on it. judy, I know, right? When you go back to work, is it just teachers or do the students start that early, too? I love these "weeds." We used to cut them and put them in water with food coloring. They sucked it right up and looked nice that way too.